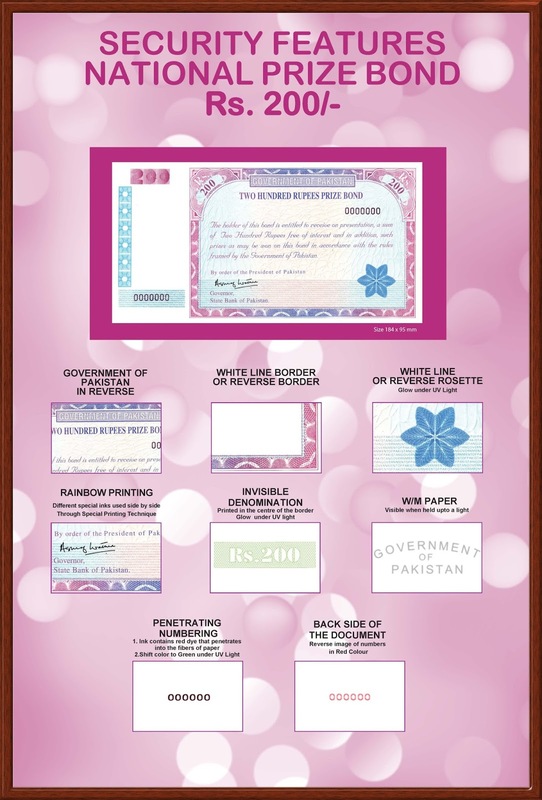 Central Directorate of National Savings, Ministry of Finance, and Government of Pakistan is controlling/managing all government savings for the benefit of General Public. 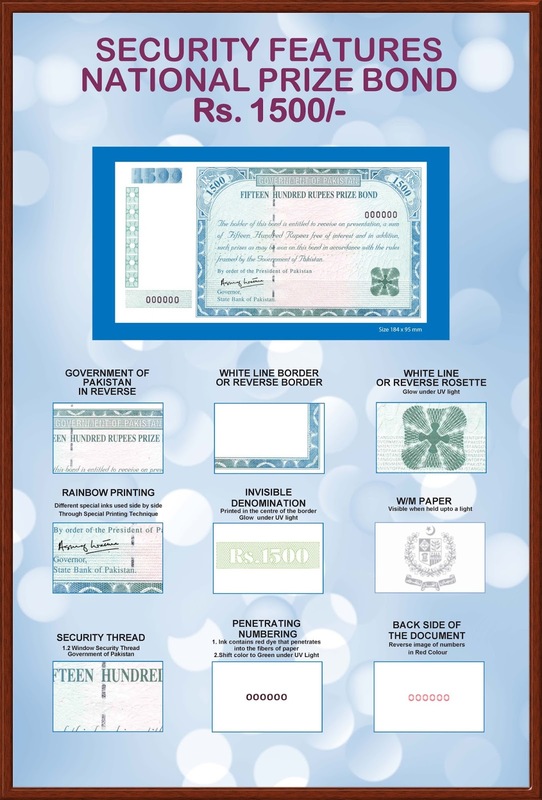 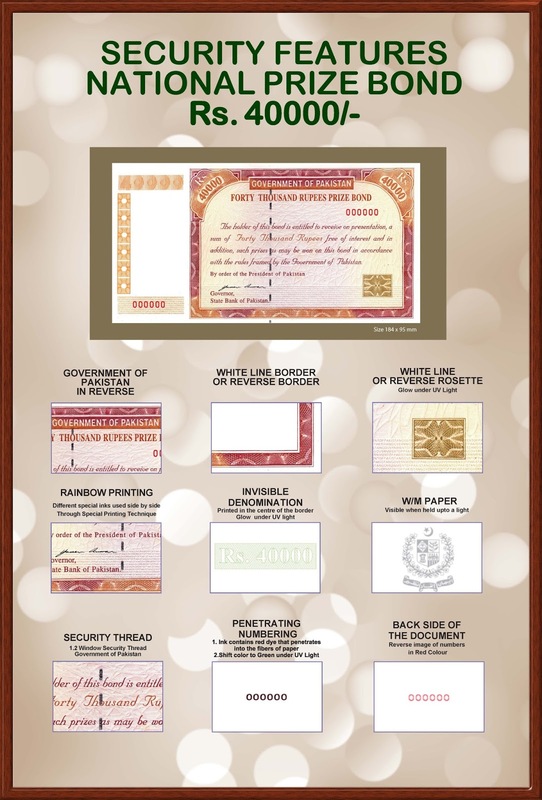 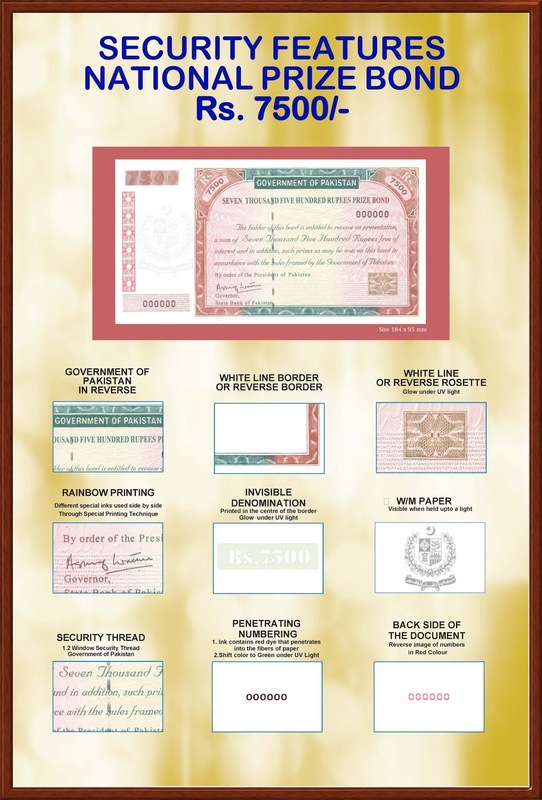 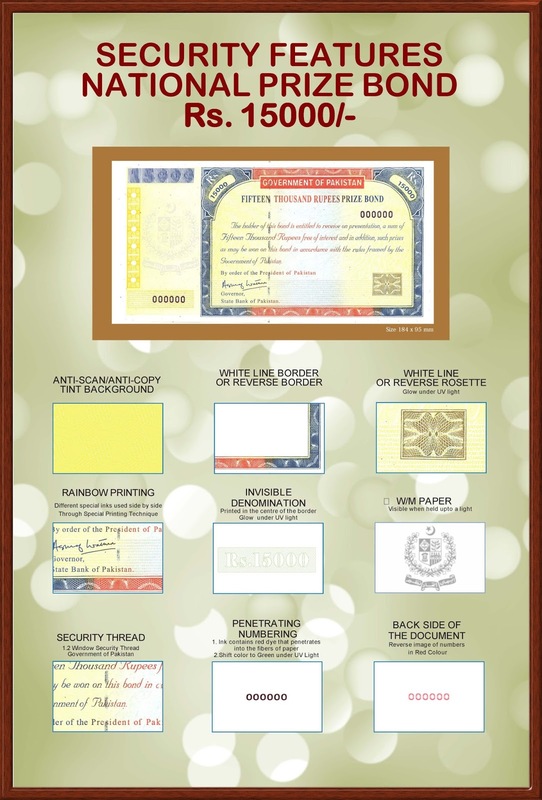 Pakistan Security Printing Corporation (PSPC), Karachi, prints Prize bonds of all denominations with the approval of Govt. 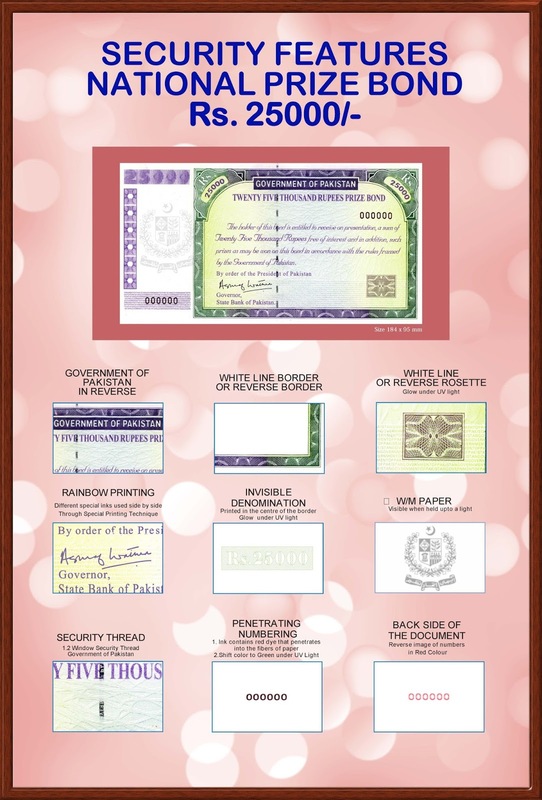 of Pakistan. 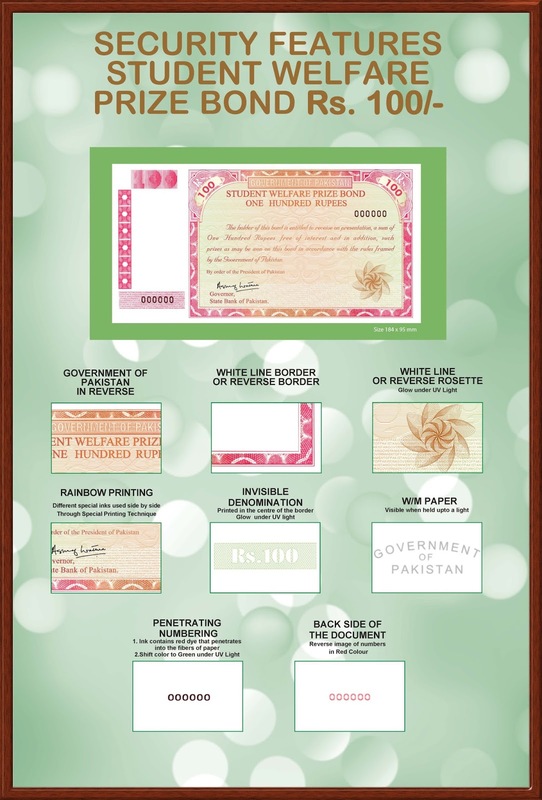 Prize bonds can be purchased and encashed in any quantity at all field offices of State Bank of Pakistan Banking Services Corporation (BSC) (Bank), the office of National Saving Centers, and designated branches of commercial banks. 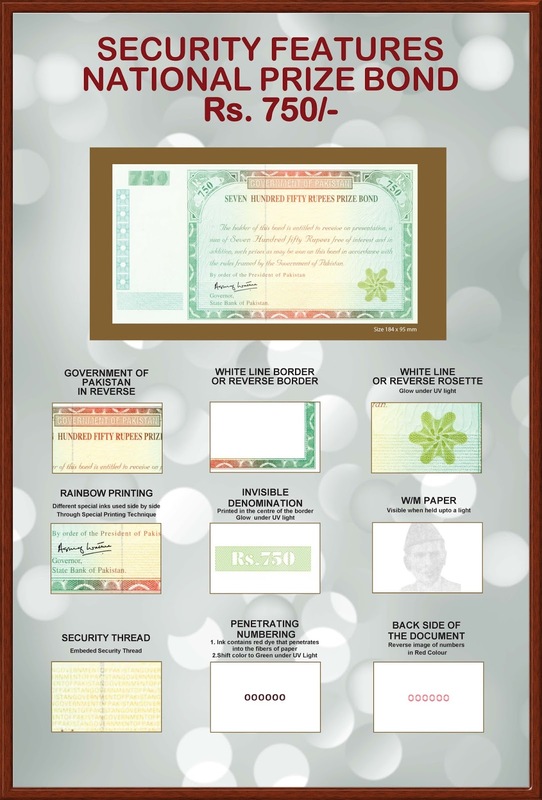 Prize bonds are not eligible for payment if the same is less than half, forged or deliberately cut, mutilated or tampered. 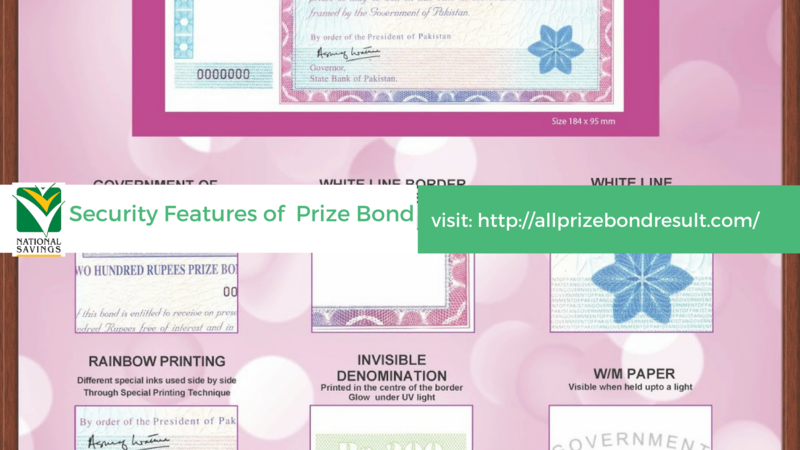 procedure For Claiming winning amount of Prize Bond is to present original prize bond at the counters of State bank of Pakistan Offices or Commercial Banks and National Savings Centers and get winning money of your prize bond they only cut 10% (WHT) from winning Prize money.